Celebrity Reflection, is a beautiful ship. The last ship built in Celebrity Cruises' Solstice class, Reflection has an upmarket contemporary décor, a wide variety of dining options, good features and amenities as well as nice accommodations. But quality hardware does not necessarily translate into a good cruise experience. What then is the secret that keeps earning Reflection high ratings? “Personalities” confided Captain Dimitrios Kafetzis. Captain Kafetzis makes it a point to be a very visible presence on the ship. Not only does he spend time in the ship's public areas but he participates in activities such as the Liars Club game show in the ship's theater. In addition, his daily announcements are full of humor. 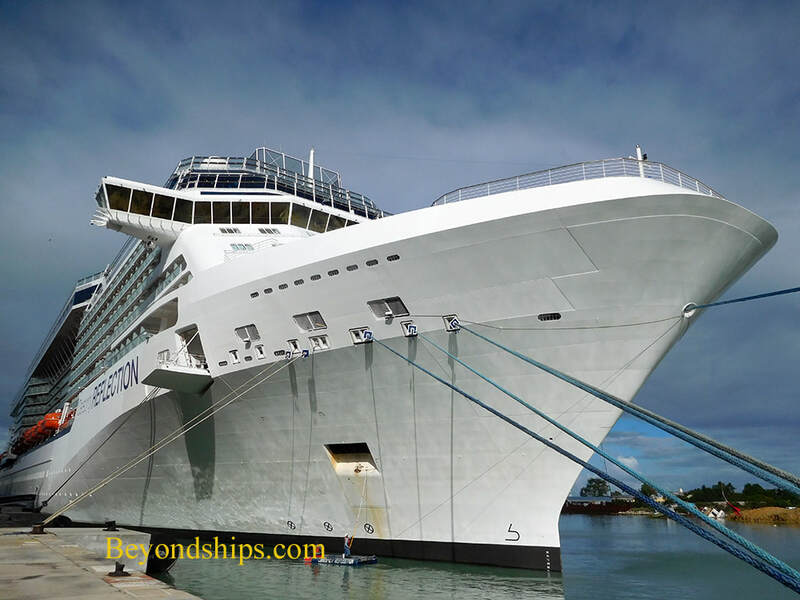 In addition to providing a warmer, more pleasant experience for the guests already on the ship, good communication with the guests enhances Reflection's ability to provide a better cruise experience going forward. Above: Captain Kaetzis on stage participating in a game show in the Reflection Theatre. 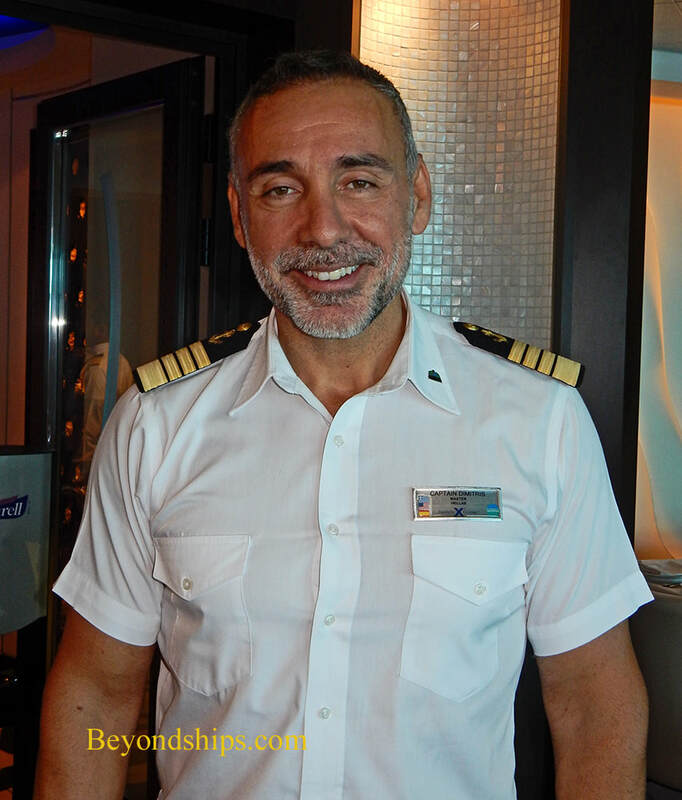 Above: Captain Dimitris Kafetzis, has been 25 years at sea with Celebrity Cruises. 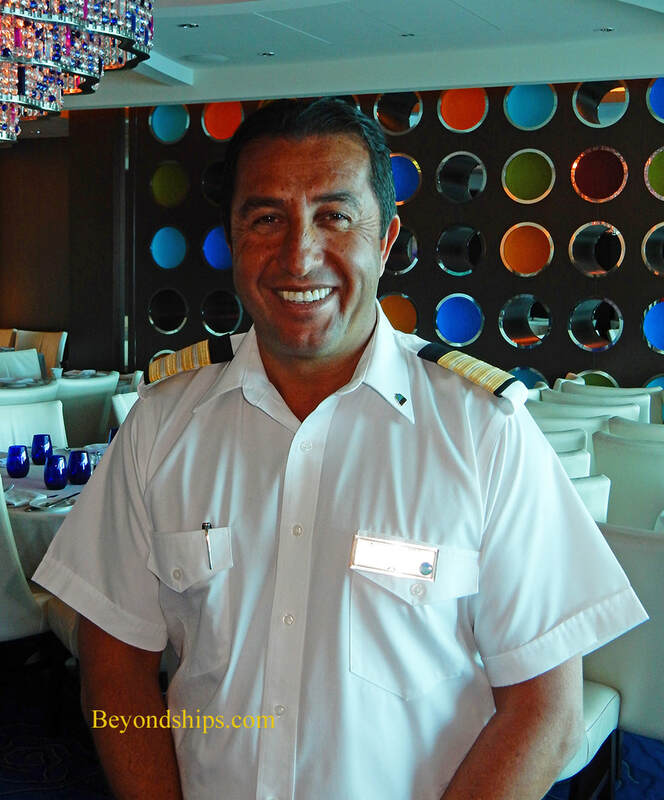 Below: Hotel Director Niyazi Korkmaz has been working on cruise ships since 1990. One example of where guest feedback led to a change was the decision to add another restaurant exclusively for guests staying in the suites. Along with this change, Michael's Club, which had been a public lounge when Reflection entered service, was converted into a private concierge lounge for suite guests and the top tier of Celebrity's loyalty program. “It was very hard for us to sell the suites. Since we added Michael's Club and Luminae, they have always been booked. It is a great advantage.” Mr. Korkmaz said. 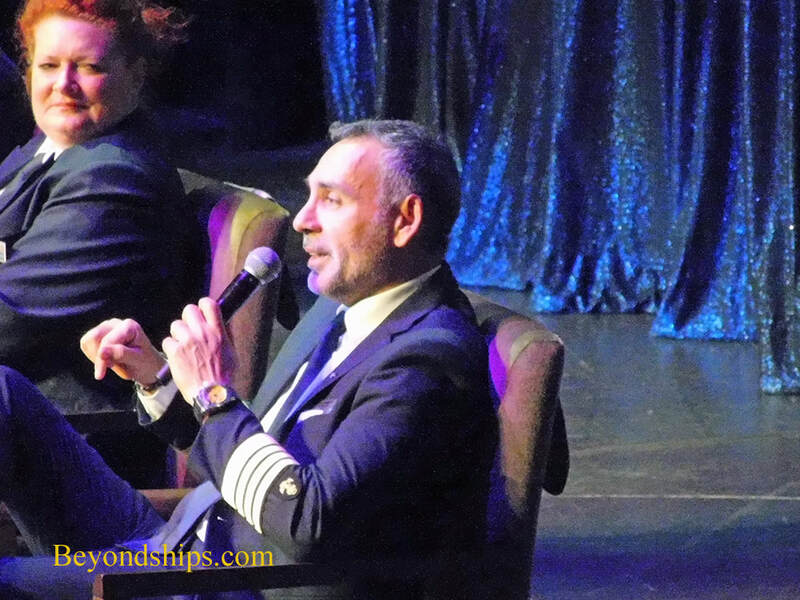 Both Captain Kafetis and Mr. Korkmaz are slated to work on Celebrity's next ship, the Celebrity Edge. A new class of ship, both the captain and the hotel director have visited the Edge in the shipyard where she is being built. “ When I saw the Solstice class, I said I cannot be more amazed. And now the Edge is like wow, it is going to make everything else obsolete,” Captain Kafetzis confides. “It will bring a totally different level of cruising. No one expected that level. The luxury and the beautiful design. It is a completely different level. I would say it is Ritz Carlton at sea.” Mr. Korkmaz commented. The Edge has a silhouette that may be unfamiliar to many cruisers. Instead of a bow that is angled as on most contemporary cruise ships, the bow on Edge is perpendicular to the sea.